Posted on October 23, 2015 by staceyanderton1	in News and tagged #EdinboroUniversity, #STEM. 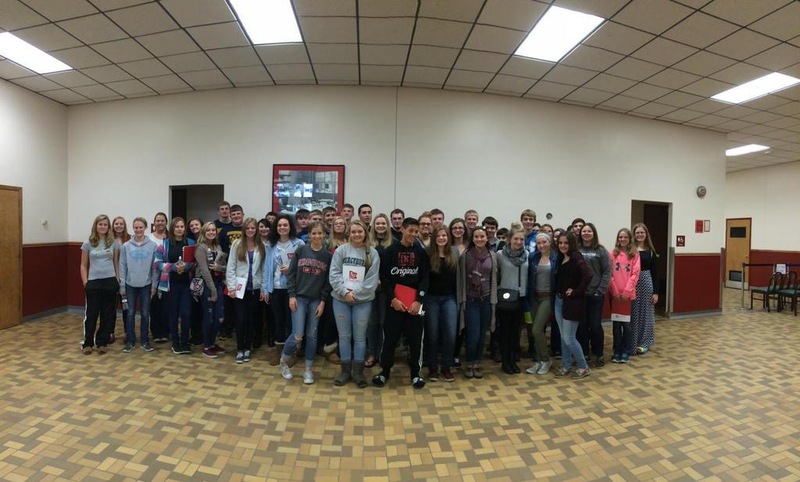 Saegertown students attended Edinboro STEM Day on Oct. 13. Science, Technology, Engineering, and Mathematics all came into play at Edinboro University on Tuesday, October 13 when a group of select juniors and sophomores attended STEM Day. On this trip the students got to choose between a psychology and a biochemistry program. Junior Dustin Bierman, who attended the biochemistry program, said, “We learned how to extract DNA from household items like an orange.” These students had the opportunity to tour chemistry labs and witness professors perform experiments. The students in the psychology program had the chance to talk with psychology professors and learn about the different equipment used in that field. “It was cool seeing all of the different parts of the psychology labs,” said sophomore Kaity Gage. When the programs finished, the students gathered in the planetarium to learn about different constellations. The professor explained where the constellations were located and how the sky changed throughout the night. “I thought it would be a good opportunity for our students,” said science teacher Mrs. Kelli Peters, who accompanied the students on the trip.